Minor Mosquito AAA Tigers are EOBA Champs! The Gauvreau & Associates Minor Mosquito AAA Peterborough Tigers went 5-0 to win the EOBA league championship over the weekend in Ajax. The weekend began on Friday with the Tigers defeating the Clarington A Orioles 18-0. Aiden Stabler threw a no-hitter. The Tigers pounded out 16 hits. Declan Ready, Ian Neck, Gus Reid, Alex Kuypers and Blake Moncrief had 2 hits each. Travis Heffernan had a hit and 2 runs scored. Stabler was MVP. In the second game, Jag Turner and Blake Moncrief combined on the Tigers second no-hitter of the day defeating Whitby A Chiefs 10-0. Turner also hit a home run and was MVP. Jack Gauvreau homered and had 2 RBI. James Vatcher-Norman had 2 hits and 2 runs. 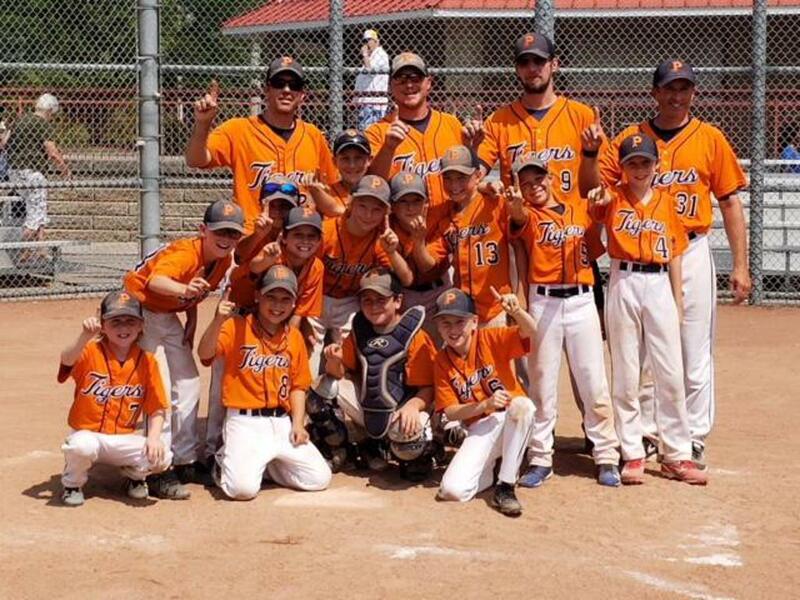 On Saturday morning, the Tigers defeated the Clarington AA Orioles 11-1. Stabler and Moncrief combined on a 3-hitter. Stabler also had 3 hits and 3 runs scored. Kuypers had 3 RBI. Gauvreau was MVP. With the win, the Tigers matched up against the Whitby AAA Chiefs. The Tiger built up a 6-2 lead behind the pitching of Kuypers and Hunter Young. The Chiefs battled back with 4 runs in the 6th inning to tie the game. The Tigers loaded the bases in the bottom of the 6th on singles by Kuypers, Kyle Duda and Turner. Gauvreau then hit a walk-off single to end the game 7-6 for the Tigers. Gus Reid got the win. Casey Richardson and Ready had 2 RBI. Young had 2 hits. The Tigers outhit the Chiefs 14-5. On Sunday, the championship game saw the Tigers take on their rivals the Oshawa AAA Legionnaires. The Tigers jumped out to a 7-0 lead. After the Legionnaires scored 3 runs, the Tigers put the game out of reach with 2 more runs and won the game 9-4. Reid, Richardson and Vatcher-Norman limited the Legionnaires to 6 hits in the win. Kuypers hit 2 triples to lead a 12 hit attack. Stabler, Duda and Turner also had 2 hits. Gauvreau had a triple and Reid had a double. Kuypers was MVP. Overall, the Tigers posted a 40 win season with only 6 losses. The Tigers will represent the EOBA at the AAA Championships in Windsor on the Labour Day weekend.